with these six great tips from Plus White! 1. Recognize the foods that can stain your teeth. Cherries, blueberries, raspberries and soy sauce all can leave their mark on teeth. 2. Be aware of the beverages that can discolor your teeth. Coffee, tea, wine can do their damage over time. Even beer can cause problems (it's acidic and attacks the enamel). 3. Remember that some minerals are good for your health but can be bad for your teeth. Fluoride is considered good for your teeth, but if you ingest too much it can cause white spots on your teeth. Some mouthwashes with chloride can cause a yellowing of the teeth when used too frequently. 4. Read the warning label on prescription medications that can change tooth color. Some antibiotics can affect your smile. Tetracycline, often given to teenagers for acne, can turn young teeth grey or yellow. Minocycline is known to cause a permanent bluish–gray stain in adults. There are even some over-the-counter antihistamines that can discolor teeth – read the warning label and ask your druggist. 5. Smoking can really dim your smile. Cigarettes, cigars, pipes and chewing tobacco will, over time, stain your teeth darker. minimize the risk of gum disease. And make sure you visit your dentist for regular exams, x-rays and cleanings at least twice a year. Keep these tips in mind. If your teeth are already stained, use the Plus White 5 Minute Speed Whitening Kit to get them whiter at home – it's fast, easy, and affordable! 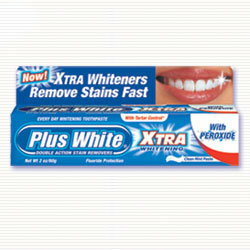 Then use Plus White Xtra Whitening Toothpaste to keep your teeth white and bright! Tips provided by Plus White. 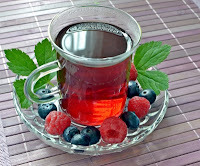 Berry & Tea Images. 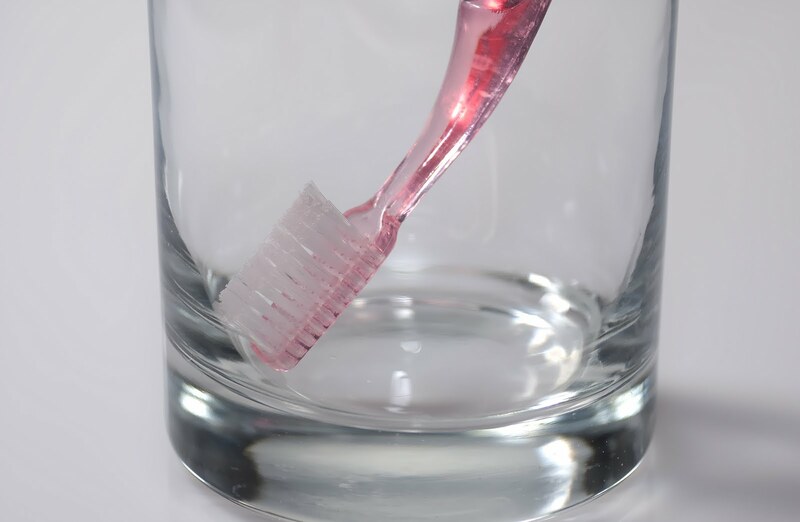 Toothbrush Image.